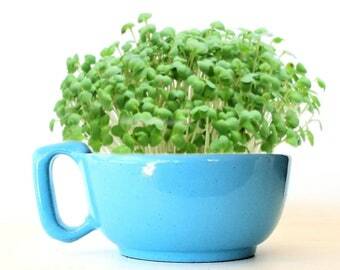 Fresh organic greens are delightful for everyone, and crucial to Paleo Diet enthusiasts! This is a DIY indoor garden seed kit containing 6 different types of microgreens specially selected to meet Paleo guidelines. Of all food groups, microgreens have the highest nutrient density, which means that they contain the most nutrients per calorie! This Paleo garden seed kit contains USDA certified organic, GMO-free microgreens seeds, in 6 small airtight tins within a larger hinged-lid tin windowed gift box, along with super-easy, detailed growing instructions. 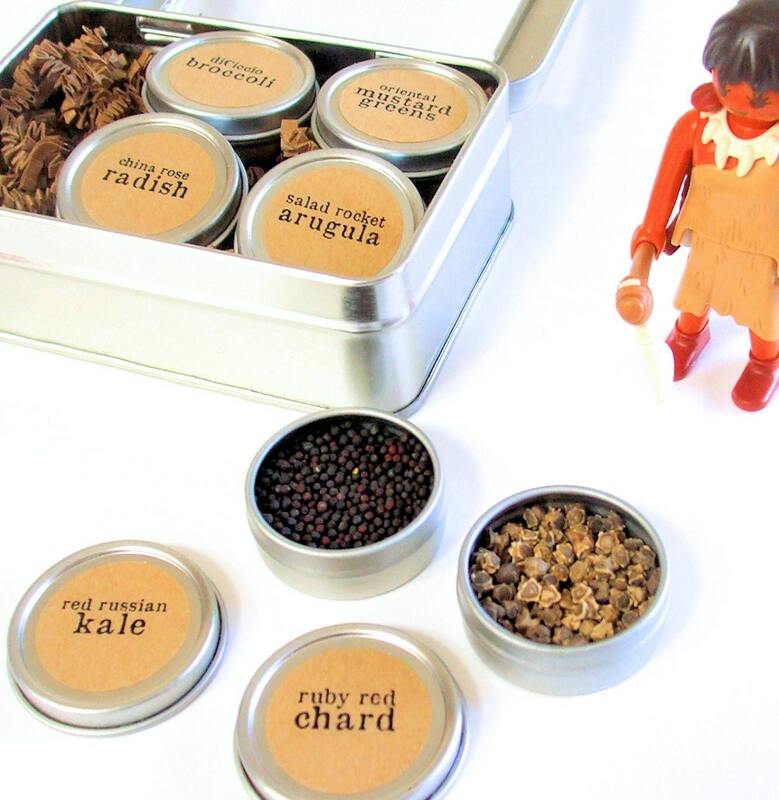 I include one half-ounce / 8mL of seeds in each tin, enough to successfully raise 2 to 3 generous crops of each seed type in a teacup or pocket indoor garden - whether one of my DIY planter kits, or teacup-sized planters of your own. 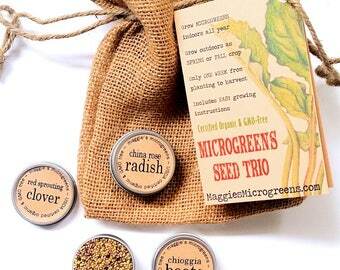 This is a great gourmet gift for beginning or experienced gardeners, and a fun project set for kids. P.S. My cave woman toy is not included, she's just a photo prop and inspiration!